The High School for Math, Science, and Engineering has two running teams: A Cross-Country team in the fall, and a Track & Field Team in the spring. Both train and compete in races for a period of about twelve weeks. Both teams compete in the Public School Athletic League (PSAL). The teams are open to boys and girls and runners of all abilities. Practices are held four days per week and races are generally held on Saturday mornings and certain weekday afternoons. The school mascot is the Dragon, and we call ourselves "The Flying Dragons." Head Coach Tom Henning has been a Physics and Engineering teacher for twenty years after a first career as a Mechanical Engineer. 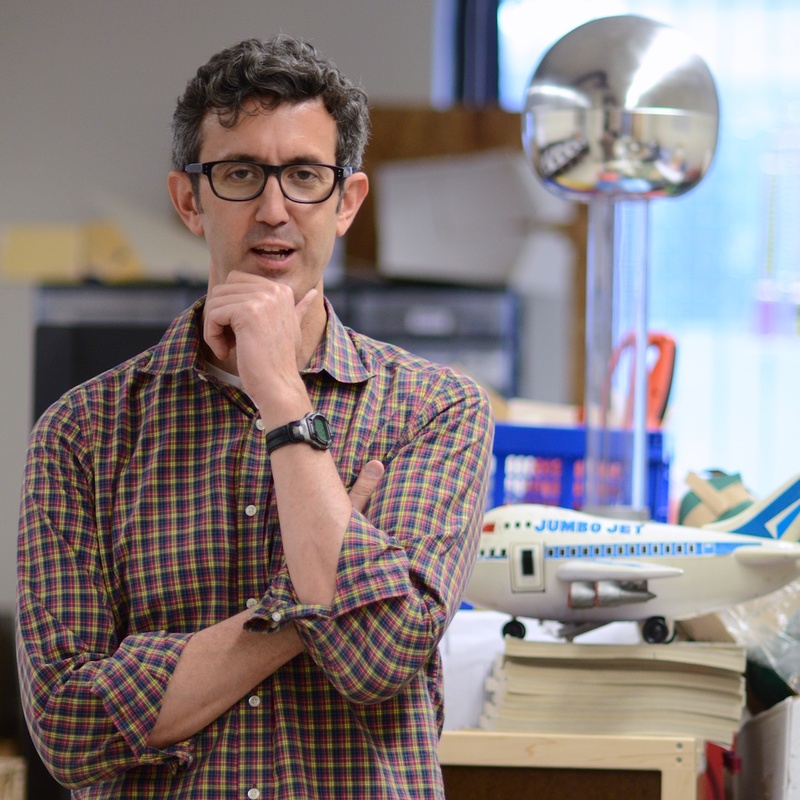 At HSMSE he's been Chairman of the School Leadership Team, Advisor to the school's Gay-Straight Alliance and the Photography Club. He has coached running at HSMSE for eight years and holds a USATF Level One and USTFCCCA Track & Field Technical certifications. 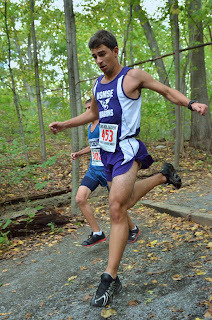 He has been a recreational runner for twenty-five years, and for the past seven years a competitive runner, swimmer and cyclist. He has completed six Olympic distance triathlons, four open-water swim races, and numerous road races. He runs, bikes, or swims daily, but is now focusing on cross-country running distances to better support his team. 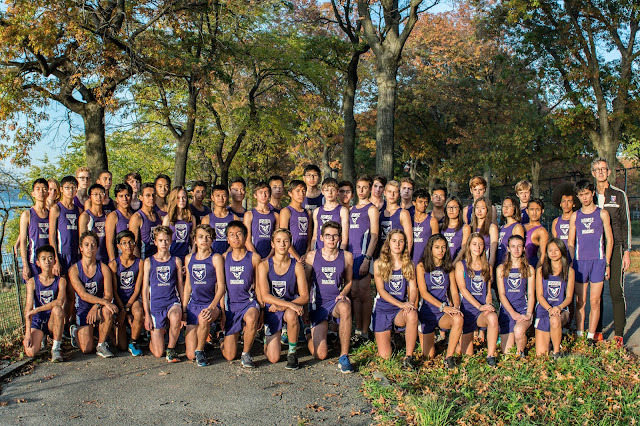 Cross-Country is a solo sport where individuals succeed because of the support of their teammates. It is well-suited to athletes who enjoy running and competition, but don't like traditional team sports. The running surface is soft-- a mixture of grassy fields and trails in the woods. There are hills! The good news is: what goes up, must come down. There's only one distance: 3.1 miles (5 kilometers). 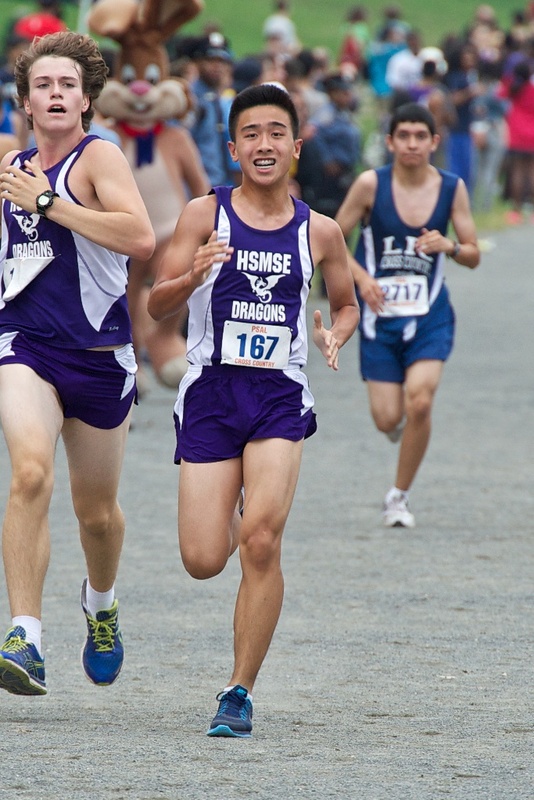 There are longer distances in college, shorter for certain competitions, and for freshman. 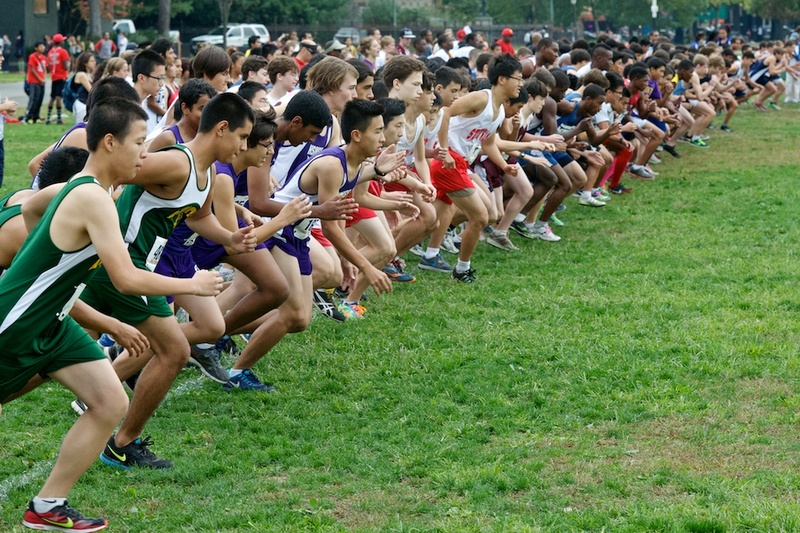 A single race can have as few as twenty runners at the start, or as many as 300. 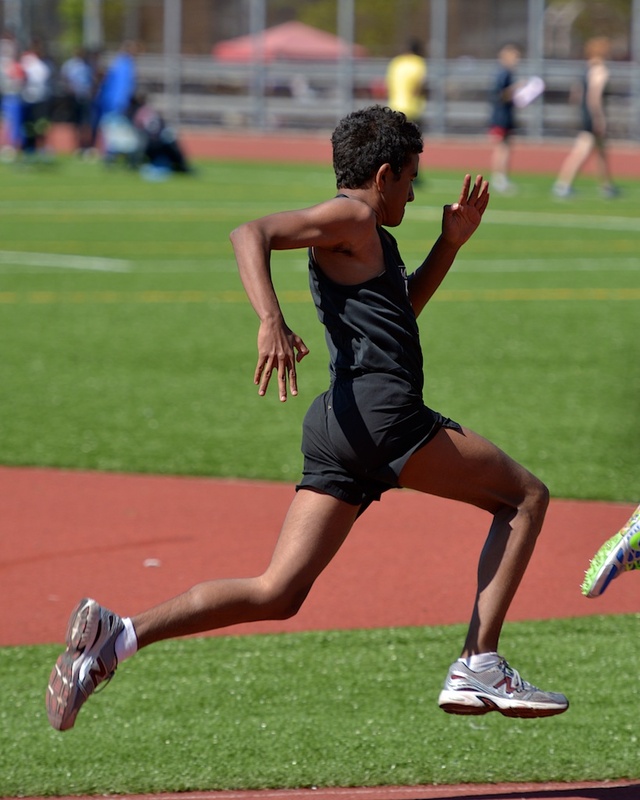 Boys and girls run at the same events, called "meets," but they run in different races. 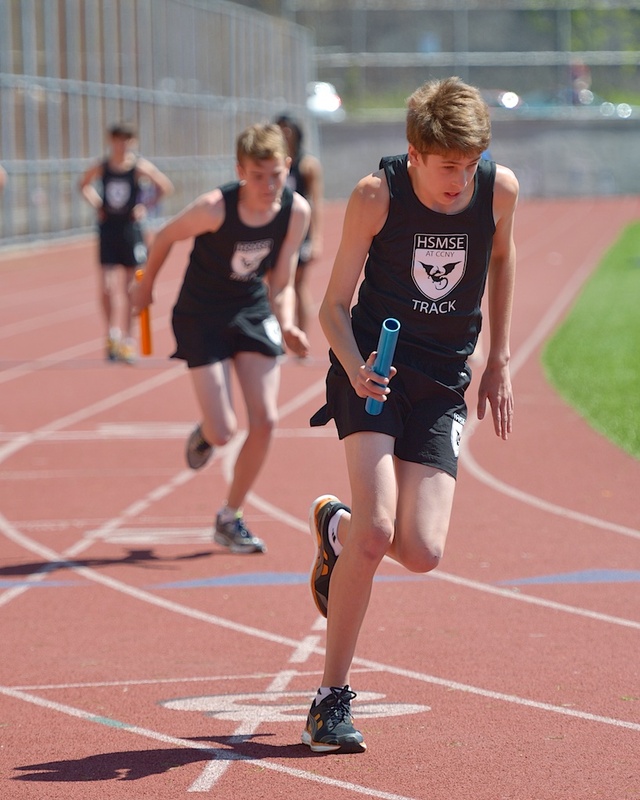 A meet can have as many as twenty races for different grades and both genders. It's easy to train. All you need is shoes and shorts, and an hour to spare. Anywhere. XC is the common abbreviation for Cross-Country running in high school and college. 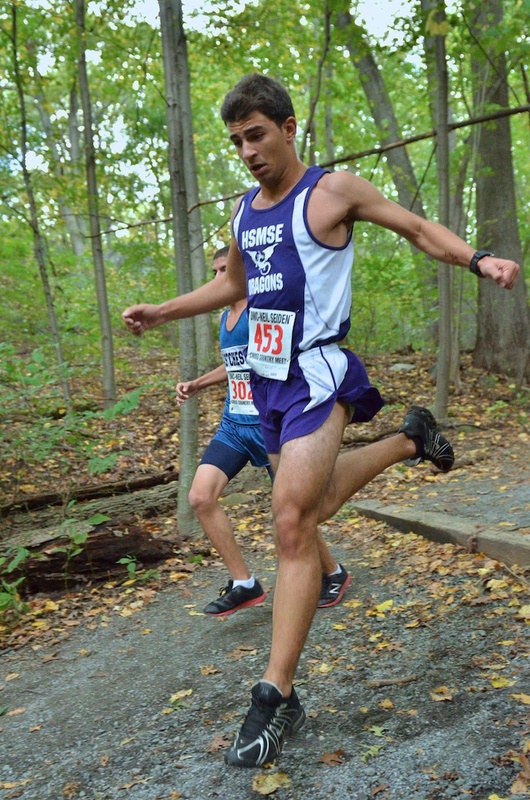 For further study, read what Wikipedia says about Cross-Country running. 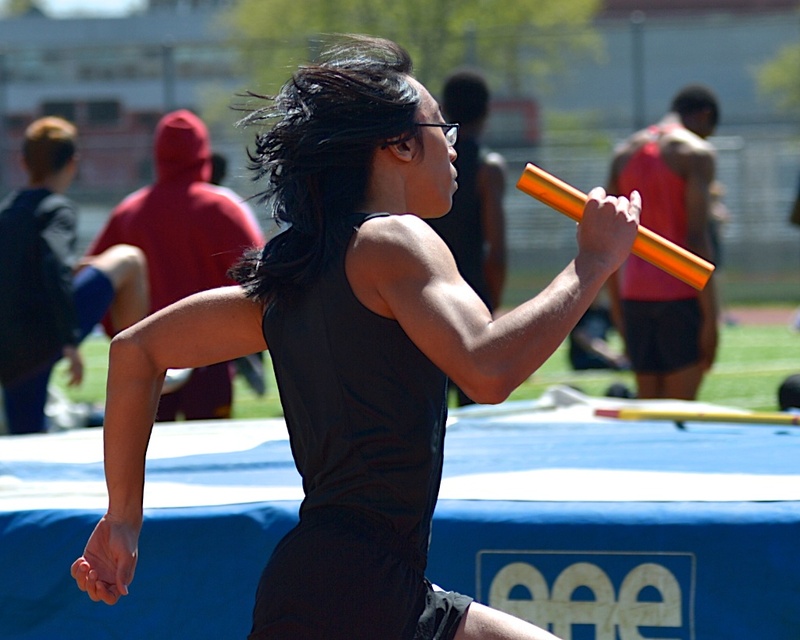 Track & Field is actually more than a dozen competitive events which include running, jumping, and throwing events. The competition takes place in and around a 400 meter outdoor oval track. 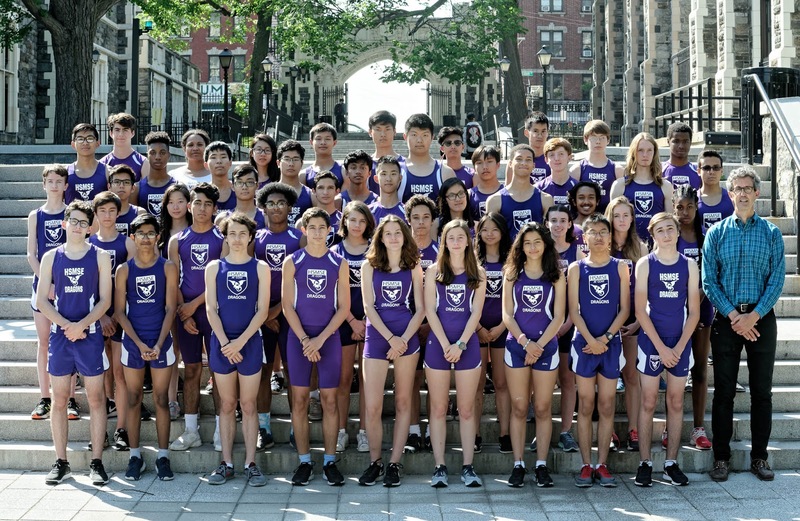 HSMSE is near two track facilities: Riverbank State Park and Macombs Dam Park. 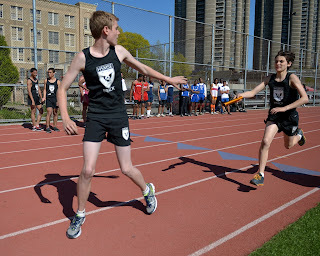 In the spring of 2014 we competed in the Public School Athletic League for the first time. You can read more about the sport of Track & Field and all its many events at WIkipedia.